This week wasn’t my best week. Meaning I didn’t get out to explore any new pubs. Some of you may be wondering if I was ill. The answer is yes. I battled an annoying case of the flu. While I found the time to read in bed I didn’t drag myself out in search of a pub for my weekly pub review. I’m starting to wonder about my commitment to this project. 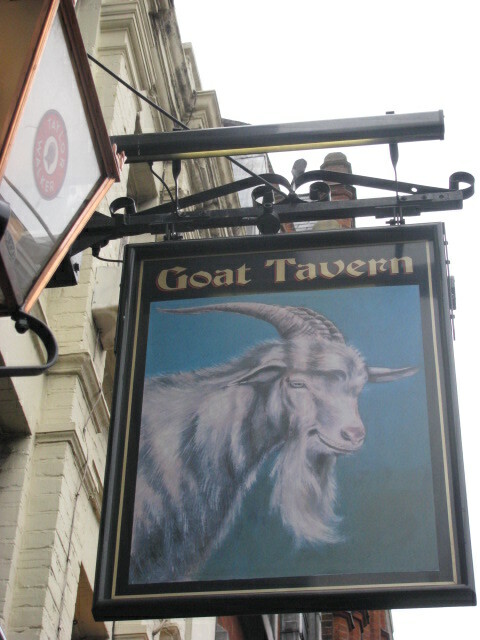 But I don’t want to disappoint you fine folks so I dug into my photo archives and remembered several of my visits to the Goat Tavern, located by Kensington Gardens and Palace on Kensington High Street. This pub is quaint inside. The Goat sits on land that has had a pub on this site for over 300 years. Long ago, the cellar led to the Palace grounds. How cool to have that connection. I like to hop into this pub after my meanderings through Kensington Gardens. In the winter it’s nice to warm up and during the summer it’s great to have a refreshing drink. I can pretty much come up with an excuse any time of the year to stop for a drink. On a few occasions I’ve sampled some appetizers. While they didn’t dazzle me, I enjoyed them. My favorite memory of this pub was during a visit last winter. Before moving to London, I never had mulled wine. I sampled a glass at The Goat and fell in love. For those who are not familiar with it, the drink has wine, normally red, mixed with spices. And they serve it hot. It is the perfect drink on a cold day. I sat by the window and sipped my drink and watched all of the hustle and bustle outside. The place was decorated for the holidays and it put me in a festive mood. I’ll be sure to head back during the holidays this year and enjoy another mulled wine. The staff has always been friendly on all of my visits. I’m not saying you should run out and find this pub. But if you are in the area, this is a good place to stop for a drink. I give this pub 3 out of 5 stars. 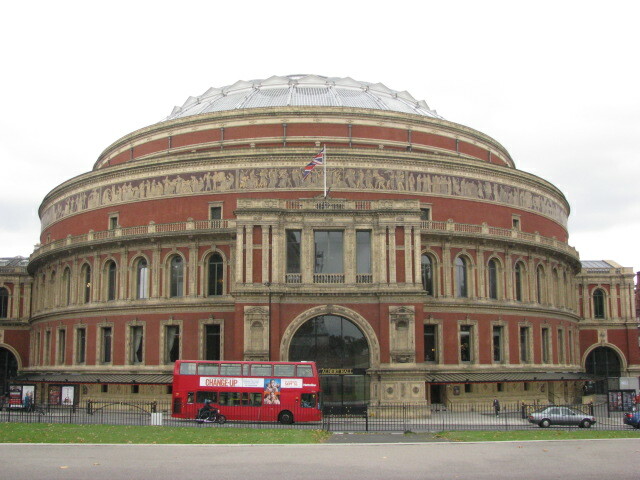 In addition, the pub is a short walk to the Royal Albert Hall, so you may want to have a drink on the way to a show and then after. 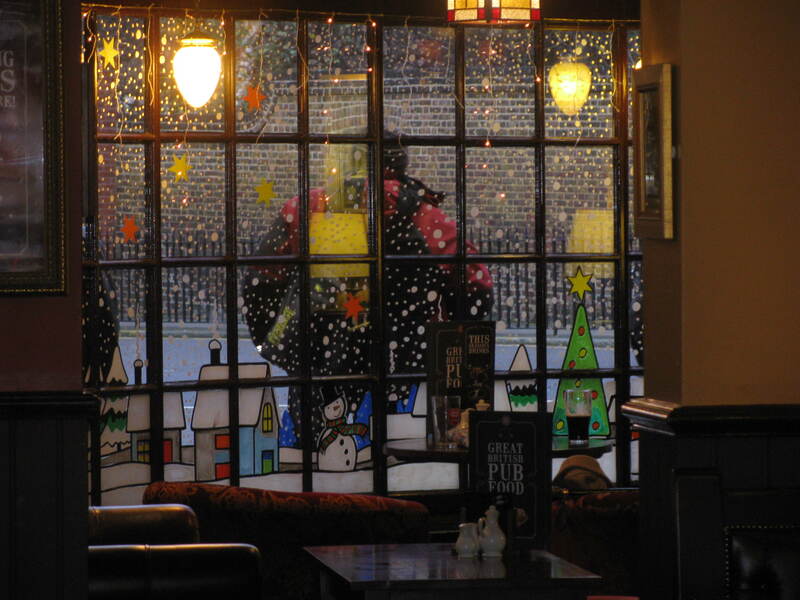 This entry was posted in Pub of the Week and tagged 50 Year Project, English History, English Pubs, Kensington Gardens, Kensington High Street, Kensington Palace, Life, Mulled Wine, Photography, Photos, Pub Review, Pubs, The Goat, The Goat Tavern. Bookmark the permalink. I didnt know you review pub too…I must have missed your review. Reviewing a pub is an original idea, IMO. the word pub is so British…reminds me of Shaun of the Dead. I still haven’t watched Shaun of the Dead. I need to add that to my rental list. I enjoy the pubs here. Not just for the drinks, but it’s more about the atmosphere. And, I’ve met many kind people who are willing to talk to help me learn about London and the people. Is there anything more absurd than the flu in summer? I’m glad you’re better. I think it looks like a cozy pub. I didn’t know you could drink spiced hot wine in England, that’s so very German for me. It’s a big favourite during Christmas time. You should go to Nuremberg for the Christmas market or, closer to Switzerland, Colmar in France. You would love that. It’s a very old city, narrow and the Christmas market has fairy tale qualities. 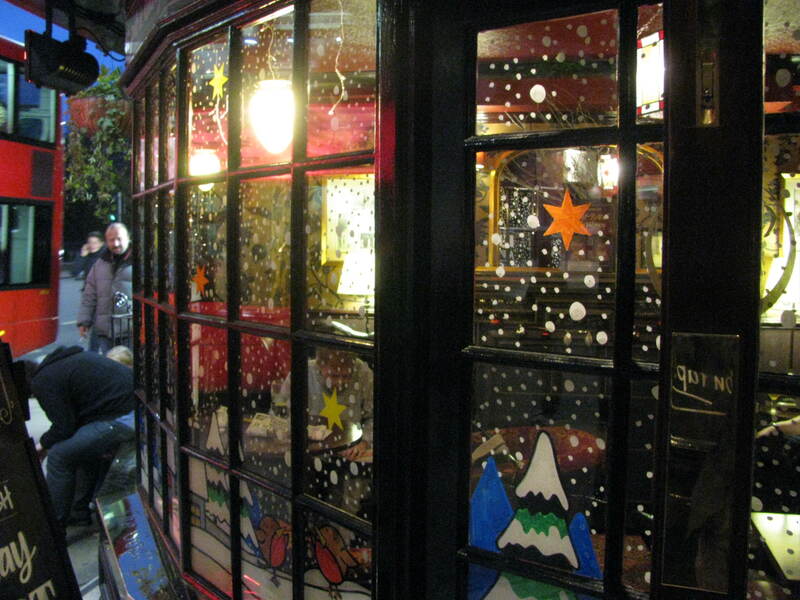 Your mission with books, films, and countries is probably easier than visiting all London pubs. Hope you are feeling better quickly. Thanks for taking us on a tour of this quaint pub, even though you were not able to get there yourself this time. Hope you feel better soon. Summer flu is a nasty thing. Sorry you’ve been ill. Hope you are all better soon. I hope you invite me if you do go. I’d love to sit over a pint and discuss the pros and cons. And I’m always to see the other side of an argument. Sorry you fell ill with the flu. Hope you are on the mend. The sign for the tavern alone would make me curious enough to give it a try! I love the pub signs here. They are such a part of the history and atmosphere of the pubs. Thanks so much. it’s appreciated! Thanks Jo … don’t be too impressed. I slept a ton and was feeling lazy.